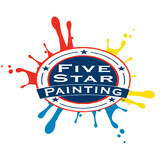 We are a professional painting contractor serving Virginia, Maryland, DC and the surrounding areas. 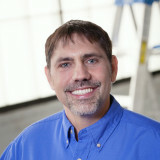 Our company has been the leading painting service provider for the community for more than 10 years. People have learned to associate our name with professionalism and high quality services, and we never disappoint. 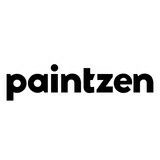 That is what makes us a preferable choice when it comes to painting companies in the area. MISSION To set the standard for the painting industry by providing our clients quality work at competitive prices, with professional service, and unsurpassed industry knowledge, while maintaining the highest degree of integrity. We’re a fully licensed, insured and bonded. 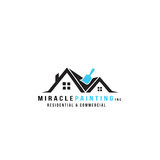 Count on us for all your painting needs whether they’re residential or commercial. OUR STORY: SAVE MORE THAN MONEY When Chris Montoya started working as a painter in the early 2000s, it didn’t take him long to realize that people were not eager to get in the process of having a number of contractors come to their home, inspect the place and comeback with a budget that could vary significantly from company to company. Clearly, people want to live their lives in a great space at reasonable price. However, they shouldn’t let anything like tidying up, or choosing the right painting company, get in the way of what they really want to be doing with their time. An entrepreneur in spirit, he felt inspired to create a company where the price of the service would be put upfront, so clients could have an idea of what their project could cost ahead of time. Fast, honest and transparent. The system worked and allowed Chris to grow Rent Painters and start the sibling companies, Rent Maids and Rent Movers under the umbrella of Rent Our Help. Chris enjoys meeting with his clients in person. He visits them before the project starts to ensure the job will get done without a glitch, and makes a point to stop in once everything is finished to make sure they are happy. At the end of the day, being an internet company, does not exclude being a human company. At Lemus Contracting, we take pride in the excellence of our work, We care about Good Quality Work and Customer Satisfaction and commitment to all of our clients. For Many years, we’ve been helping homeowners and business owners realize their dreams by providing Good Quality remodeling services at a fair price. Whether you want to do Painting, remodel your Bath or kitchen , Remodel your house, handymen work , Painting.whether the project is big or small, call Lemus Contracting and we can help. We at Lemus Contracting Inc. always strive to achieve the best expected quality in any of the work that we do. We assure you that our team of experts will deliver a work of the best quality that will satisfy all your expectations. At Lemus Contracting Inc. We do projects ranging from large residential and commercial, to small interiors and exterior jobs. Our trained and experienced team members are committed to satisfying the highest expectations of our customers. Call us today! Reliable, Honest, Experienced. All American Painting Plus is a full-service professional painting Company, owner-operated professional painting and contracting services company serving Northern Virginia. We believe in honesty, integrity and trust in everything we do, from start to finish. We’ve developed an outstanding reputation of excellence by providing professional painting, handyman and contracting services to help residential clients enhance, protect and maintain their American Dreams for over a decade. You can depend on us for accurate estimates and quality craftsmanship. Every project is backed by a two-year written warranty. We are a Reston, Virginia based residential Painting company providing service to clients in Great Falls, Reston, Herndon, Leesburg, Sterling, Dulles, Countryside, McLean and most Northern Virginia towns and cities. Hömm Certified Painting Systems is a locally owned company that strives for setting the highest quality and customer service standards in the Home Improvement market within the Washington, DC Metro area. Our processes have been designed in order to deliver superior quality in our work and an amiable customer service experience for the customer. We understand that communication is a key element to have a positive outcome on every project. We endeavor to understand our customers needs and wants, and as a result, have built a reputation of professionalism, promptness, courtesy and craftsmanship at a very competitive level. Attention to detail is very important, since we consider ourselves as artisans in the painting business. There is a Job site supervisor for every project who will communicate with the on-site Foreman, in order to make sure that what has been promised to the customer is being delivered. As a result, our customers will always feel comfortable and confident that they have hired the right professionals for the job. Serving Northern Virginia since 2001, Custom Colors LLC have nearly 14 years of experience in the painting and Home Improvement. We work hard Our professional approach will save you time, effort and money. We take a great pride in materials we use and services we provide. Having helped to increase the beauty and value of literally thousands of homes and businesses throughout Virginia and Maryland area, we at Custom Colors llc look forward to the opportunity of serving your property next. Everything starts by calling 703-626-6915 for a Non-Obligatory Consultation or email us for a Free Quote. Parviz Painting MD LLC specializes in both interior and exterior residential painting projects. 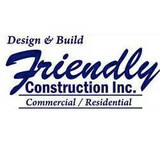 We pride ourselves on the quality of our work as well as our commitment to outstanding results. We look forward to building long-term relationships with our clients and guarantee your satisfaction! We are a company who cares about the work we are doing and try to provide the best customer service and quality work possible. We are a small business located in Alexandria Virginia that services the Northern Virginia area. Our company is licensed, insured, bonded and accredited with the Better Business Bureau. All of our employees are an in-house crew and are covered under our workman's comp policy. We specialize in interior & exterior painting, drywall repair, wallpaper removal, pressure washing and staining/sealing decks and fences, & carpentry. We also provide handyman services while we are in house which include installing blinds, doors/ hardware, minor electrical work and many other miscellaneous work that you may not be able to perform yourself.